How do Anglo-American media cover the Middle East? 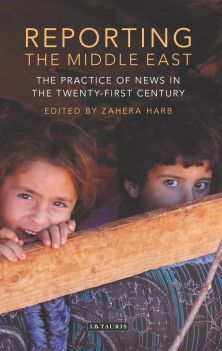 Through a country-by-country approach, Reporting the Middle East, the Practice of News in the 21st Century, Published by IB Tauris, provides detailed analysis of the complexities of reporting from the Middle East and how media represent the region. Dr Zahera Harb, City, University of London on Reporting Lebanon: Orientalism as News Practice. Professor Rosemary Hollis, City, University of London. Each chapter provides an overview of a country, including the political context, relationships to international politics and the key elements relating to the place as covered in Western media. The authors explore how the media can be used to serve particular political agendas on both a regional and international level. They also consider the changes to the media landscape following the growth of digital and social media, showing how access to the media is no longer restricted to state or elite actors. By studying coverage of the Middle East from a whole range of news providers, this book shows how news formats and practices may be defined and shaped differently by different nations. Among the countries covered are Lebanon, Syria, Jordan, Iraq, Egypt, Palestine, Turkey and Iran with chapters predominantly by writers and scholars of Arab origins. Editor of the book, City, University of London Senior Lecturer Dr Zahera Harb says: "Journalist readers will have the opportunity to compare practice and think more deeply about it. Media academics and students interested in the Middle East will add to their bodies of knowledge about the issues, but with the addition of the fine-grained and vivid detail that only eyewitness reporting can bring."